Looking for a path to optimal health, wellness, and performance? Welcome to Touchstone Therapeutic Massage! Touchstone is defined as “a gold standard or benchmark for quality, used to determine what is true, pure, and authentic”. My goal is to provide this high standard for bodywork. I integrate a variety of massage techniques, including deep tissue, sports massage, neuromuscular therapy, and acupressure with stretching to create a complete and balanced session for each client. 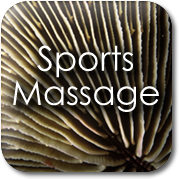 In September 2013 I opened my own sports massage & health center. Located in the city of Berkeley Lake, we are centrallly located to the northern metro Atlanta towns of Peachtree Corners, Duluth, Norcross, and Johns Creek.